Advance Ticket Promos - Harley Quinn. gorra, cap from the Advance Ticket character promos.. HD Wallpaper and background images in the Suicide Squad club tagged: photo suicide squad movie 2016 advance tickets character profile promo margot robbie harley quinn dr. harleen quinzel. 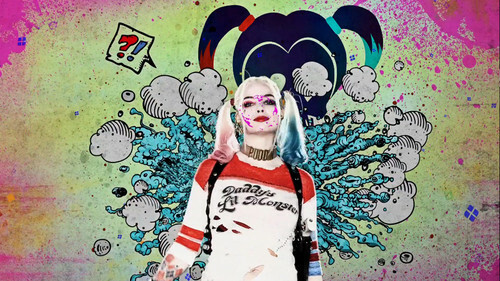 This Suicide Squad photo contains animado, cómic, manga, historieta, anime, and dibujos animados.